The Google Cloud Partner Program, launched today, is designed for service partners and technology partners. But it may also appeal to existing Google Apps Authorized Resellers. In fact, some resellers are already jumping into the Google Cloud Partner Program. 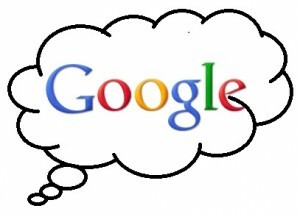 Think of it this way: Most Google partners already see the opportunity to move customers onto Google Apps (SaaS). But the Google Cloud Partner Program allows partners to move additional customer applications and services on the Google Compute Engine and Google App Engine (IaaS and PaaS). Translation: The Google Apps Authorized Reseller Program and now the Google Cloud Partner Program together give channel partners every major cloud service they need (IaaS, PaaS, SaaS) for end-customer services. Google today offered six examples of how partners can benefit/already benefit from the new cloud partner program. Business apps: Ci&T, a global systems integrator, built a quotation app on Google App Engine to help an insurance provider provide better policy quotes to customers. Mobile apps: Agosto built a smartphone app running on Google App Engine to help the Minneapolis Loppet Foundation register participants in a Nordic ski event. Social apps: PA Consulting built a crowd-sourced app on Google App Engine and Google Maps for MetOffice to provide richer, up-to-date local weather forecasts around the world. Google Compute Engine: Allows partners to configure and manage applications running on Google’s infrastructure. Google BigQuery: Partners can import data from existing on-premise and cloud data sources into BigQuery for analysis. Google Cloud Storage: Partners can offer active archiving, backup and recovery, and primary storage solutions. Take a closer look at the Google Cloud Partner program and you’ll notice quite a few Google Apps Authorized Resellers jumping into the game. Examples include Cloud Sherpas and SADA Systems, both of which rank among the world’s top 100 cloud services providers, according to Talkin’ Cloud’s second-annual Top 100 CSP research. More than 6,000 companies are Google Apps Authorized Resellers. I’ll be curious to see how many of those resellers become Google Cloud Partner Program Members, moving customer systems onto Google’s cloud. Google in recent days also confirmed its commitment to enterprise customers, stating that the Apps business was gaining critical mass. At the same time, software partners like BetterCloud are promoting Google Apps management tools designed for channel partners and customers. Still, the competition remains fierce. Microsoft is adjusting its Office 365 partner program to give partners end-customer billing capabilities (a long-desired feature that Google Apps already offers). And the Office 365-Windows Azure combo essentially counters Google Apps, Google Compute Engine and Google App Engine. Plus, Amazon continues to attract partners that are loading customer workloads into Amazon’s cloud.